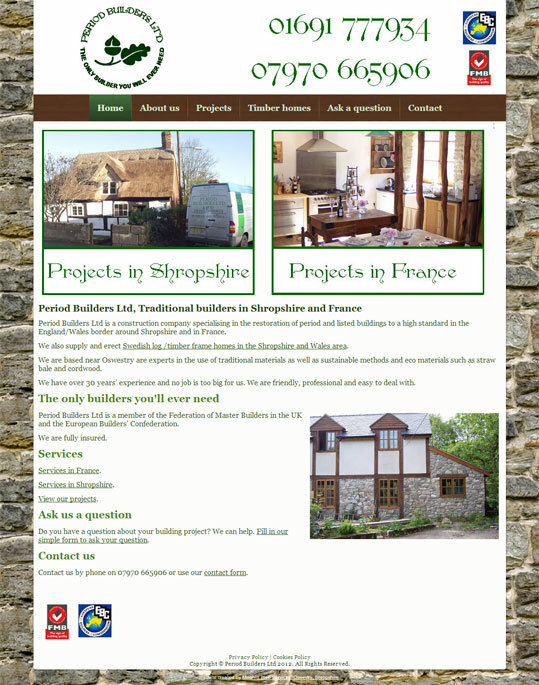 This was the first website for this building company specialising in major projects involving historic and listed buildings in Shropshire and France. We worked closely with them to produce a site that met the needs of the business and those of prospective customers, is simple, easy to use and uses photo galleries to show their portfolio of projects. Since launch we have also updated the content with other example projects and new services.